The Amazon Dash Wand effectively brings the price down to zero for acquiring Alexa access…sort of. 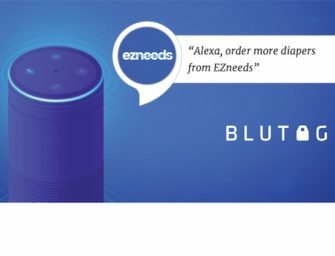 While the $20 cost is offset by a $20 rebate on an order placed using the device and Alexa is accessible through the Dash Wand, the voice assistant is not fully accessible. You can speak to it, control home automation, ask about the weather and order kitchen supplies. If fact, you can access many skills provided they use Alexa’s voice in what is referred to as text-to-speech. However, you cannot access any streaming or recorded audio. Ask to hear a Brand Haiku and it will open the skill and Alexa will read you the welcome message, but you cannot hear anything else. The same is true for Rise Bar. In both skills, all of the content is recorded audio. You can request content, there will be a pause and then Alexa will ask you if you would like to hear more. But, you haven’t hear anything yet. This leads to an odd user experience. It was clear that Dash Wand wouldn’t support AudioPlayer functionality for long-form content such as music and podcasts. I was surprised that it blocks all recorded audio from playing even for in-session experiences that are 90 seconds or shorter. This is a mistake. Many brands are now and more will be leveraging recorded audio in custom skills designed to bring more information to consumers looking to purchase or repurchase products. The recorded audio offers superior user experience and brand alignment. The Dash Wand is all about purchasing so the lack of any recorded audio support may not be surprising until you think about product content from consumer brands. The other surprise was that timers are not supported on the Dash Wand. Nor are alarms available. As a kitchen-based device, these are common use cases that are unsupported. Thankfully, measurement conversion is available. If you have an Echo already in your kitchen, all of these tasks will work hands free. You can reserve your Dash Wand for re-ordering tasks. More on that below. It is also important to point out that the Dash Wand is a push-button device. You must push the the button to activate the microphone and interact with Alexa. For those of us accustomed to using hands free smart speakers like Echo or Google Home, this is an adjustment. It turns everything into two-step process. The button requirement also leads to another interesting difference from using Alexa on other devices. There is no wake word required. You don’t have to say, “Alexa,” before stating your request. You can say Alexa, but it is not necessary. Push the button and make your request. If you say, “Alexa” first to the Dash Wand and another Echo device does pick up the wake word, the spatial perception feature kicks in and Alexa only responds on the Wand. But, don’t say, “Alexa” to your Dash Wand. It is unnecessary. Most food items are automatically placed in a Prime Fresh cart. This is different from the standard Amazon cart and is different from Prime membership. Prime Fresh is an additional $14.99 per month above the Prime membership cost. You can try it free for a month, but the added cost then kicks in. You can see that the Amazon Dash Wand is designed to draw more people into the Prime Fresh program. With Amazon’s recent acquisition announcement of the Whole Foods grocery chain in the US and plans to offer an even wider selection of food items, you can see how Dash Wand fits into the broader company strategy. The other points are all about confirming your order. If you place items into your shopping cart then you must go through the check out process which is typically just clicking the check out button. However, some items need you to confirm the item you wish to order. If you say “place and order for…” instead of “add …. to my cart” then if will confirm your purchase and ask for your order voice code to complete the purchase. This is very similar to the ordering experience on an Echo. You can also add items to your shopping list. The purpose of the device from Amazon’s perspective is to have you place orders directly, but it does provide access to your shopping list on the Alexa app. The Dash Wand works well for voice ordering. However, it didn’t improve the ordering experience over using an Echo. The process is essentially the same except you have to also push a button when using Amazon Dash Wand. The barcode scanner is a different story. This is a significant feature enhancement. When you scan an item, you don’t have to worry about pronouncing it correctly or ordering it in the wrong size or flavor. The UPC barcode ensures you are reordering precisely what you want. I scanned several items in the kitchen and other non-food items such as aluminum foil and running shoes. All populated correctly in my Amazon app shopping cart. I then only needed to click to confirm the order in the Amazon app. To use the barcode scanner, you simply press the button and point it at the UPC symbol. Two other points are worth noting here. First, you need to confirm purchase in the Amazon app for any items scanned to be ordered. Second, the barcode scanner is not active when the device is pointed up toward the ceiling. This is another nice feature. The assumption is that you are using voice input when the device is pointed upward. The scanner turns off so it is not shining in your eyes while speaking into the device. Tilt it down just a little bit and the scanner activates. This is a good use of gyros to improve the user experience. The barcode scanner is the killer app of the Dash Wand. We like to focus on the voice assistant features because they are new. However, the inexpensive barcode scanner is also new to the home setting and a great resource. I haven’t signed up for Prime Fresh, but the convenience of the barcode scanner has made me rethink that decision. For items without barcodes we still have voice ordering so it really is a complete solution designed for convenience. Do We Need Two Alexa Access Points in the Kitchen? Amazon Echo was designed for the kitchen. The timer. The music access. The measurement conversions. Home automation control. It is a handy kitchen tool even if you don’t use it for anything else. The Echo is at home in the living room, bedroom and throughout the house, but it really shines as a voice assistant in the kitchen. Amazon Dash Wand was also designed for the kitchen. It is about reordering food and kitchen supplies and even has a magnet to attach to the refrigerator. Do we need two Alexa access points in the kitchen? One Echo and one Dash Wand. Or a third? The Echo Show which also could easily fit into the kitchen. The short answer is no. If this were merely about voice ordering Amazon Echo is superior to the Dash Wand. It is completely hands free, can access all Alexa skills with TTS and recorded audio content, make calls, set timers — the list goes on. However, the Dash Wand is not attempting to be all of those things. It is purpose built for repurchasing consumables in your household. The barcode scanner makes it stand out and the Alexa voice input is simply a convenient add-on that rounds out the solution. Everyone is wondering how the big tech platforms are going to monetize their investment in voice assistants. For Amazon, the answer is clear. Amazon has built a platform optimized for consumption and convenience. That consumption may be audio content, image content, video content, games, information or purchasing. However, it is the higher revenue from increased consumer purchases that will subsidize all other activities on the platform. The Echo Look is designed around a specific user activity: fashion and clothing style in the real world. It is not about magazines and what might look good on runway models. The Echo Look is about what you have and what you could have to wear. That ties in closely with Amazon’s move into apparel retailing. Amazon Alexa as a platform is specifically designed to address the purchasing use case and the Echo Look is the front end device that creates a purchase moment. It can be applied to other use cases which is fine. However, the Echo Look only needs to do one thing and be accepted by consumers for that function for Amazon to meet its objective. Similarly, the Amazon Dash Wand has a specific purpose. It is designed to facilitate easy repurchase of consumable items. It can do more than that, but it only needs to make it convenient to reorder by barcode scanning or voice ordering to meet its objective. It’s hard to imagine Apple, Google or Microsoft bringing a device like this to market. That differentiation could ultimately be Amazon’s secret weapon.